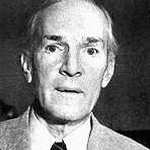 Upton Sinclair Jr. was a prolific American author who wrote over 90 books in many genres and was widely considered to be one of the best investigators advocating socialist views and supporting anarchist causes. He achieved considerable popularity in the first half of the 20th century. He gained particular fame for his 1906 novel The Jungle, which dealt with conditions in the U.S. meat packing industry and caused a public uproar that partly contributed to the passage of the Pure Food and Drug Act and the Meat Inspection Act in 1906. The Jungle is a novel by American author and socialist Upton Sinclair. It describes the life of a family of Lithuanian immigrants working in Chicago’s Union Stock Yards at the beginning of the 20th century. The novel depicts in harsh tones the poverty, complete absence of social security, scandalous living and working conditions, and generally utter hopelessness prevalent among the have-nots, which is contrasted with the deeply-rooted corruption on the part of the haves. The sad state of turn-of-the-century labor is placed front and center for the American public to see suggesting that something needed to be changed to get rid of American “wage slavery”. The novel is also an important example of the “muckraking” tradition begun by journalists such as Jacob Riis. Sinclair wanted to show how the mainstream parties of American politics, already being tied into the industrial-capitalist machine, offered little means for progressive change. As such the book is deeply supportive of values and criticisms held by Communism, a movement still in its infancy at the time. FCIT. "Upton Sinclair author page." Lit2Go ETC. Web. 19 April 2019. <https://etc.usf.edu/lit2go/authors/87/upton-sinclair/>. FCIT, "Upton Sinclair author page." Accessed April 19, 2019. https://etc.usf.edu/lit2go/authors/87/upton-sinclair/.